The Surface Disinfection system disinfects surfaces for products, packaging, and conveyor belts. With the Surface Disinfection system (SDS) you can disinfect surfaces of for instance products, packages, and conveyor belts. The system is compact, uses flat lamps, Teflon foil, and an optimised reflector. Additionally you can use the system modularly. That makes their use flexible, you can always be sure of high output, the systems are easy to use, and they are easy to clean. 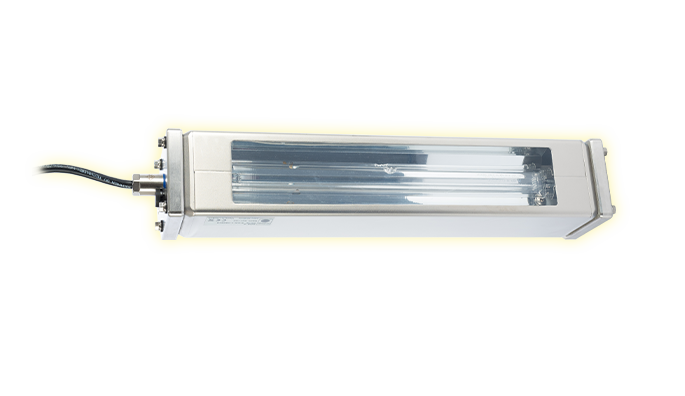 – Flat low-pressure lamps with a long lifespan and high UV-C efficiency.